Churches and ministries all over the world use PodcastPeople to reach new members, grow their congregations and increase giving. 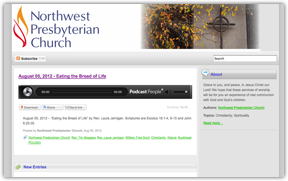 Sermons are broadcasted on-demand through audio, video, or both. 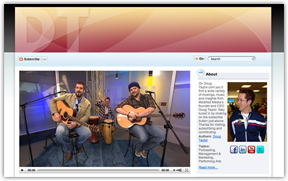 Congregants can access sermons going back many years using the cloud-based archive, which is included with every plan. 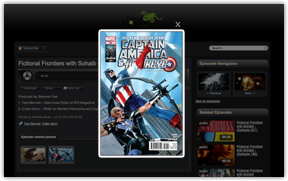 Sohaib Awan chose PodcastPeople to host his popular Fictional Frontiers radio show so that his listeners could enjoy every episode without being tethered to a radio. Sohaib’s advertisers benefit from the Internet’s 24/7 access, while Sohaib gets discovered by a worldwide audience and not just the Philadelphia market. It’s now proven that podcasting in education helps students achieve higher test scores. Educators appreciate that PodcastPeople provides a safe haven from unwanted discovery of content that may violate school policies. Additionally, teachers and administrators have complete control over every aspect of their education channel on the Internet from who sees it, to who doesn’t. 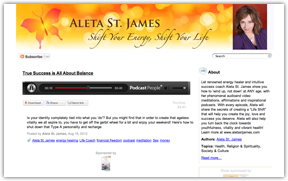 Energy Healer Aleta St. James, uses PodcastPeople's platform to interact with her ever-growing private client list and fan base. Using the platforms proprietary analytics engine, Aleta knows who’s listening, sharing, and most importantly subscribing to her show. She also sells books, meditations and jewelry through her site. PodcastPeople’s rich media platform is ideal for Doug Taylor where audio, video, blogs and photos are presented seamlessly to the world. As the GM of PodcastPeople, Doug uses the platform to build and maintain his reputation on the web, and to demonstrate the power of the platform’s SEO, which keeps Doug and PodcastPeople at the top of Google, Yahoo, and Bing. © 2005 − 2019 Modified Media, Inc. All Rights Reserved. “PodcastPeople”, the PodcastPeople logo, heads symbols, “Be Discovered”, and “Your online podcasting studio” are registered trademarks of Modified Media, Inc.